Reflexology in Taunton from an experienced, fully qualified and insured practitioner. I am complementary therapist based in Bathpool, Taunton in Somerset working from my warm, inviting, calm and tranquil treatment room at home. My reflexology practice is easily accessible from Taunton, Wellington, Bridgwater and the M5. With good access to the A38, A358 and surrounding areas. I also have ample parking. Your initial treatment will usually last about 80 minutes. This allows additional time for us to talk through your medical history and discuss any concerns you may have. Once you have had your first session, we can then base your treatment plan on what I find, as well as on the information you have given me during your consultation. Subsequent treatments will take approximately 1 hour. All my sessions are holistic, with consideration to your health and lifestyle. This means that although all reflexes are worked during your treatment, some will be emphasised more than others to suit your individual need. The number of treatment sessions required will vary depending on your requirements. Whether you are trying to resolve or improve a specific physical, mental or emotional issue, or simply want to experience this wonderful therapy and realise the pleasure and heightened state of relaxation that reflexology can bring, please do not hesitate to get in touch. By creating deep relaxation, Reflexology is an amazing therapy for reducing stress. It helps to calm down the nervous system and allows the body to function more efficiently. This encourages a sense of balance and well-being. Many conditions can be improved with the support of reflexology, including: anxiety, stress, depression, back pain, migraine, fertility, maternity, menopause, insomnia, digestive disorders and pain management to name but a few. 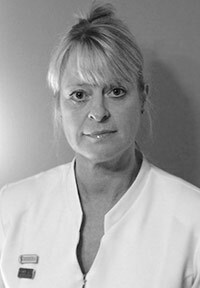 I am an Experienced Taunton based Reflexologist near Bridgwater and Wellington in Somerset. Feel free to browse through the different pages of my website for more details on reflexology. However, if you would like to make an appointment or simply want to find out more by talking to me in person, please feel free to contact me on Tel: 07967 757267 or email me at: [email protected] and I will come back to you as soon as I can. If you are looking for an experienced reflexologist based in Taunton near Bridgwater and Wellington then I am in an ideal location. I look forward to welcoming you and guiding you towards your footpath to better health. CNHC Reg, NHS Choices Reg. I am fully insured and having been trained to the highest standard have been awarded full membership with The Association of Reflexologists (AOR). I am also registered with the Complementary and Natural Healthcare Council (CNHC) which is supported by the Department of Health and NHS Choices, so you can be assured I am a well trained and competent practitioner.